Please join us for the 2019 summer session. Explore how interplanetary exploration works, right up close. THE ONLY PREREQUISITE IS CURIOSITY. In class this year, we'll be building complete, full-size spacecraft mockups including all their internal systems (thanks to cubesat technology; see the 3-min video clip about MarCO below). This way, participants build understanding and appreciation of how it all works. Participants come from all walks of life. What about the math? See below. Here's a link to the school calendar. In 2018, the CUBESAT design was used for the first time in interplanetary flight. Two six-unit cubesats (6U; each Unit measures 10X10X10 cm), named MarCO-A and MarCO-B (Mars COmmunications), flew past Mars to help with communications while the InSight Mars Lander executed its complicated and dangerous atmosphere entry, descent, and landing on the surface. Both MarCO cubesats are now orbiting the Sun in their own elliptical paths; they did not carry the propulsive capability they would have needed to go into Mars orbit. This video illustrates their role. CUBESATS contain all of the systems and capabilities of any spacecraft, regardless of size, such as a Cassini or a Voyager or a New Horizons. Their small size and low mass are extremely convenient, and in class we'll take advantage of that: each participant this year will have his or her own simulated cubesat to work with, for learning hands-on about how interplanetary flight works, and end up with sort of a 3D notepad as well, to keep as a unique conversation piece. Please spread the word among friends and family who are interested in planetary exploration! Find the course on this page after registration has opened. Do a Keyword Search for INTERPLANETARY. To register online, see the "Register" menu at the top of the calendar, scroll to Summer Session. Or download and fill out this PDF Registration Form. There are a total of seven Thursday-evening sessions. Late Registration Fee applies on and after: May 13, 2019. Scholarship Deadline is April 11, 2019. 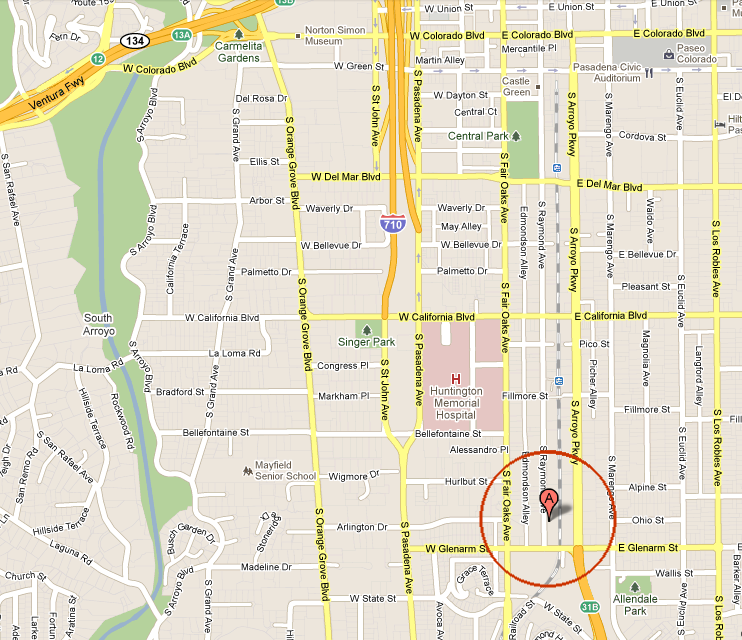 For registering in person: South Campus, 950 S. Raymond Ave., Office hours are posted here. Office phone 626.396.2319, fax 626.396.4219.
visit this page for information. ArtCenter kindly offers members of The Planetary Society a 25% discount. When registering in person, bring evidence of TPS membership (address imprint on The Planetary Report suffices). Fill out and bring a PDF Registration Form. Optional book (Springer-Praxis 2009, hardcover or paperback) written with participants of this course in mind. This textbook is part of Springer's Astronautical Engineering series, so it doesn't avoid the math. It has a full-color cover, and is printed on acid-free paper: in other words, it's expensive. But it's well worth it! 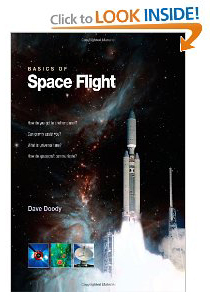 Optional paperback book, Basics of Space Flight created from the contents of the JPL Basics website. Available in a full color edition, and a low-cost black & white edition. This book does not cover as much technical detail as the above title. It does contain good reference material, and should serve well in class. This book is produced by Amazon Print-on-Demand, and is much less expensive than the above. The entire book is also available as a PDF, free of charge, for use on some portable devices. If you'd like to download the 20 MB file, go to the JPL Basics website; you'll see the "Download" icon in the lower left corner. You don't have to know the first thing about space flight to participate fully in this class. All you have to be is curious about how humans are exploring the universe today, and what is being found. If you have a web-enabled phone or other device, bring it along, it will come in handy. There's wireless internet access in the classroom, of course. Is there a lot of Math? Many people are looking for in-depth mathematical treatment. Most, though, say they'd rather not have a lot of math. In our classroom sessions, you probably won't notice much math at all. 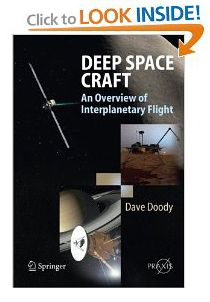 But you'll find you can go as far as you want in the optional book Deep Space Craft (Springer, 2009), which I wrote for participants who want to follow its more technical content and references. So far now, this has worked out to be an effective balance. "One of the best courses I have taken in my past eight years of college courses." "This class offers a unique and unparalleled opportunity to explore and learn about a very exciting field of study that offers much to draw upon." "The many ingenious demonstrations of abstract concepts was a treasure trove." "This class really does two things: teaches the concepts, but also is a survey of how to communicate difficult material of any field." "I was having too much fun for the course to end." We live on a rare and fragile life-sustaining planet, the companion of an average star orbiting a spiral galaxy's central black hole. After a history rooted in deep time, we have just acquired new senses, many if not most of them originally developed for space exploration. How do these new senses work? What are they telling us? How are we affected by the ability to see and hear and "smell" in radio "light"? The infra-red? Ultra-violet? Gamma radiation? Lately we are encountering new worlds with our new senses. And we humans are in the extraordinary position today to be seeing some of these places up close for the first time ever, via humanity's robot emissaries. How do you design a robot spacecraft and travel among the planets? How do you fly it and tell it what to do? What information is it sending back? If you find these topics compelling, please join us for seven consecutive Thursday evenings at the inspiring ArtCenter College of Design South Campus at Raymond & Glenarm in Pasadena. And if you can't make it yourself, please considering spreading word to someone who might be interested. The course is an interactive, high-fidelity survey of disciplines and projects in today's interplanetary flight. It involves the participants in a variety of techniques, including visuals, design-based learning, hands-on physics, brainstorming, lecture, demonstrations, guest speakers, and lots more. No credit means no tests, no mandatory assignments, only a 3-hour-per-week time commitment: 7-10 p.m. Thursdays. Grasping each of the major factors in the whole environment in which we live and in which we operate interplanetary robots (this environment can be concisely described as the space among the many companions of a dwarf star in a bubble, orbiting a supermassive black hole at the center of one of many galaxies); Understanding how such a description is obtained and interpreted. Here's Dave talking about the course with Mat Kaplan on Planetary Radio. After serving in the U.S. Air Force, Dave Doody worked as an instructor for Japan Air Lines teaching flight procedures, navigation, systems, and stuff to Captains and First Officers of JAL. At the same time, he led an instructional systems development effort at the JAL flight crew training center creating graphics, computer and photo laboratories, which produced system simulators, teaching methods and materials, and learning facilities. This was up through 1980 while living aboard a sailboat. Having landed at Catalina Island after sailing the coast, Dave worked as a systems engineer there for three years before joining the NASA-JPL Deep Space Network in Pasadena, creating instructional systems and training materials for operators of the spacecraft-communications systems. On completion of the Deep Space Network contract, Dave got his master's degree and then went to work on the NASA Voyager mission flight operations team while Voyager 2 cruised outward from Saturn to encounter Uranus and Neptune. Flight ops engineering on Magellan, the Venus mapper, then led to the same field of work on the Cassini-Huygens mission to Saturn and Titan, where he has been since 1994, now a senior engineer with Caltech/JPL. 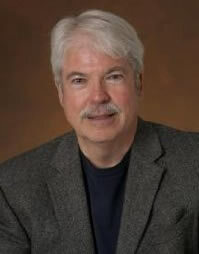 All during the Voyager, Magellan, and Cassini mission operations, Dave has also been publishing in the technical and popular literature, teaching short courses, and speaking in public about space-flight related subjects. Dave is also proprietor of Space Craft International (established as a partnership in 1987), known on the web as SpacecraftKits.com, which produces low-cost educational scale models of space exploring machines. His latest venture is a new product line under SCI: Blüroof Press. Once in a while you can find Dave playing sidewalk astronomer in Pasadena, offering free telescope views of the planets to passers-by, especially when Jupiter or Saturn are conveniently high in the evening sky, no matter the streetlights. BE CAREFUL NAVIGATING RAYMOND AVE! 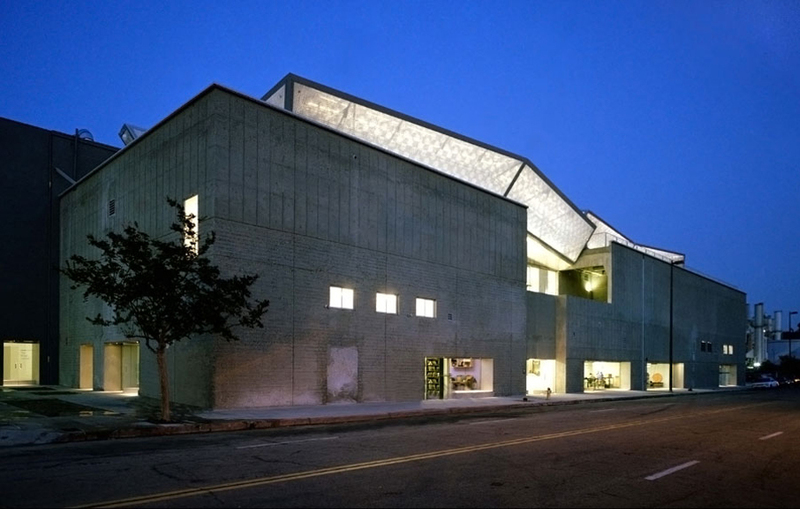 950 IS ONE OF SEVERAL ARTCENTER BUILDINGS NEARBY. Our building and its parking lot form the NE corner of Raymond and Glenarm. 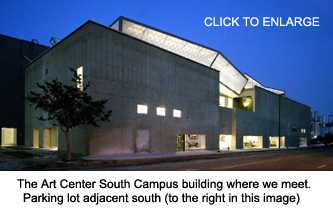 950 SOUTH RAYMOND AVENUE, PASADENA CA 91105 The campus is close to the Gold Line Filmore station; ArtCenter College runs a convenient shuttle to the hillside campus and the rail station. Here's more info on transportation. For 2018 we had Room M3. Please be on time each week, as a courtesy to other class participants.